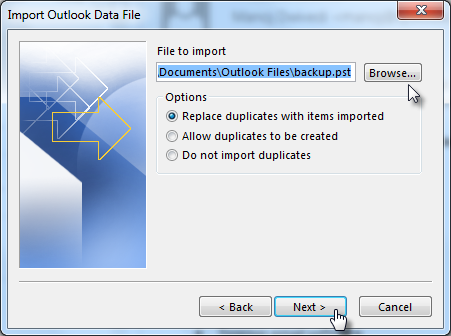 A PST file is the data file of Outlook that gets created when the profile is configured with POP3 or IMAP account. Depending upon the version of Outlook used, the file can be ANSI PST or Unicode PST. It is free from any type of version restriction for application or the Operating System. Also, the PST file is not owner specific and thus it can be easily imported into any Outlook profile. However, if the PST file is protected with password, the password has to be provided for successful import process. 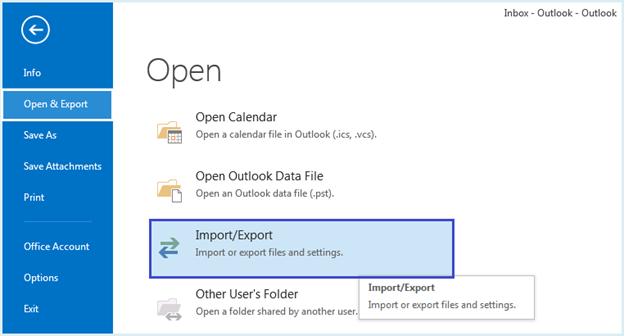 How to Import PST File into Outlook? Click on the File menu and click Open and Export. Choose Import/Export option. 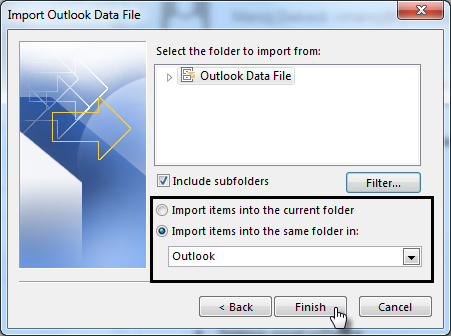 Choose the option Import from another program or file to get the PST or any other text file imported into Outlook. Click on Browse… button to load the PST file to be imported. There are three options given that can help to manage the duplicates. Make sure that you enable the Include Subfolders button so that all the folders are imported. Click the Filter button that will give the option to customize the import process. 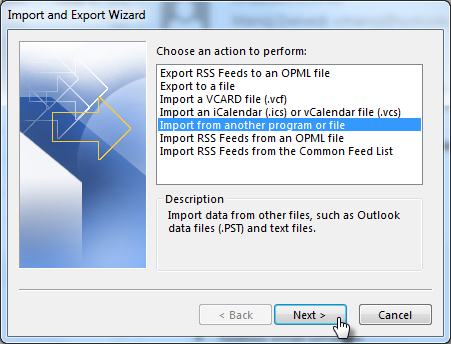 Select a PST file into which the PST file data should be imported. Click Finish to start the import process.